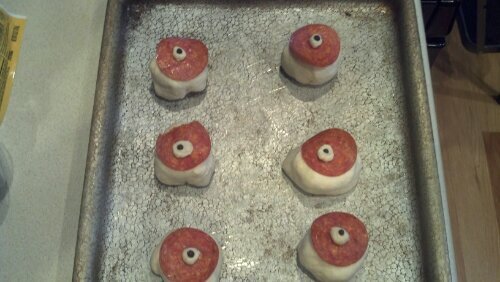 In honor of Halloween, the kids and I made mummies and eyeballs for dinner. 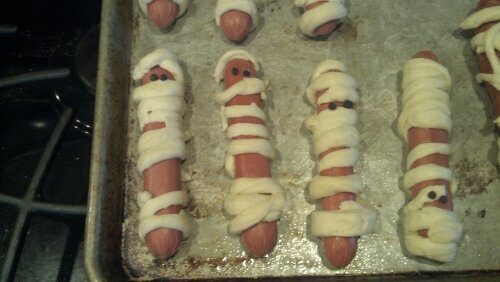 For the mummies I used hot dogs and biscuits. I’ve read that crescent rolls would work too, but I had biscuits on hand. 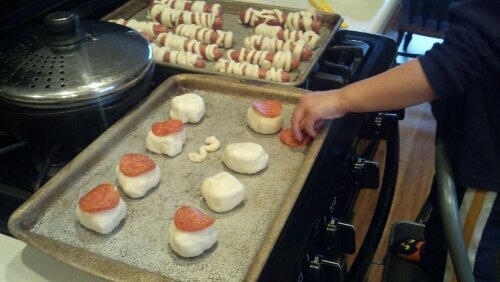 I flattened the biscuits and used a pizza cutter to make long strips. 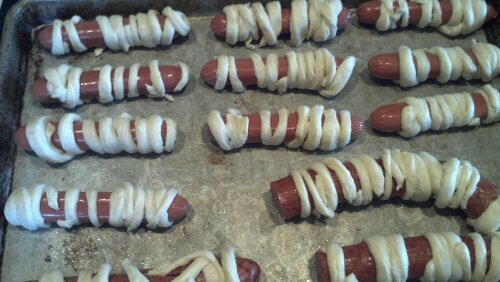 Then I wrapped the hot dogs until I thought they looked mummified enough. As a final touch, I added black peppercorn eyes. I had a tube of biscuits left, so I cut up some pepper jack cheese and grabbed a leftover pack of pepperoni out of the fridge. 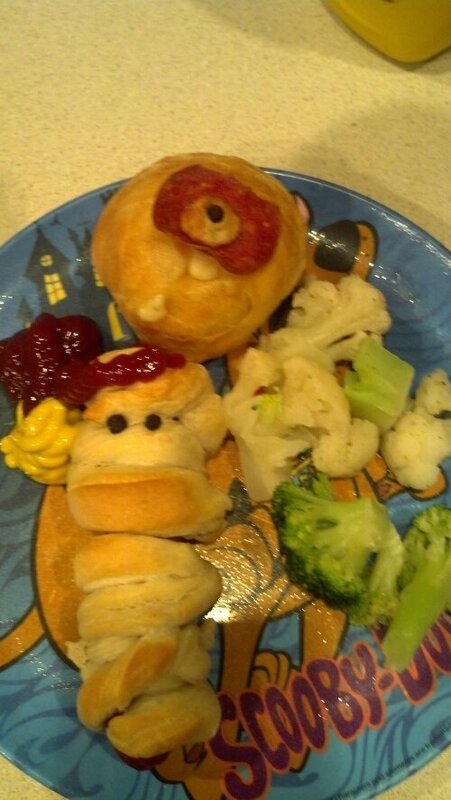 I made pizza eyeballs and used a tiny rolled up piece of biscuit for the center of the eye with a black peppercorn smack on the middle. Joe, of course, wanted to eat them before cooking…but I managed to hold him off with a tangerine as bribery. That’s right, no shame here. And here’s the finished product! Although the eyeballs did not turn out as I had pictured, I am pleased with the mummies…and so is Joe.